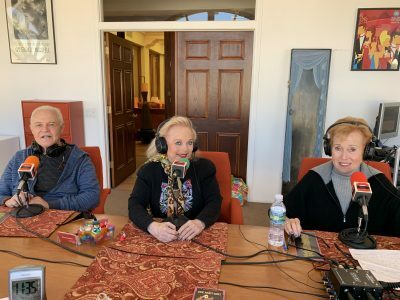 THE CHILDREN ARE COMIN’, LET THE MAGIC BEGIN w/ Carol Connors re: Her title song for the film “Children of the Coffee” to raise funds to help children in Costa Rica. – DISCUSSION of Recording w/ the Rancho Mirage High School children. – She is the co-writer of the theme from “Rocky”. – Her next project is a film about her life. ONE NIGHT ONLY “BROADWAY SHOWSTOPPERS” w/ Michael Childers and Barbara Fromm re: 4/24 – Benefit for the Barbara Sinatra Children’s Center in Rancho Mirage @ Eisenhower Health. – DISCUSSION of the 50th anniversary of “Midnight Cowboy”. Celebration 3/2 @ the Camelot. Showing a brand new print, w/ Jon Voight’s screen test. History of Kaye Ballard introducing Michael to John Schlesinger. – 4/24; 6:30 PM – “One Night Only” sponsored by ACC and Jet Blue. @ the McCallum Theatre. 15th Year of “One Night Only”. Tickets on sale now. – 25 singers and some kids from David Greene’s “Musical Theatre University”. 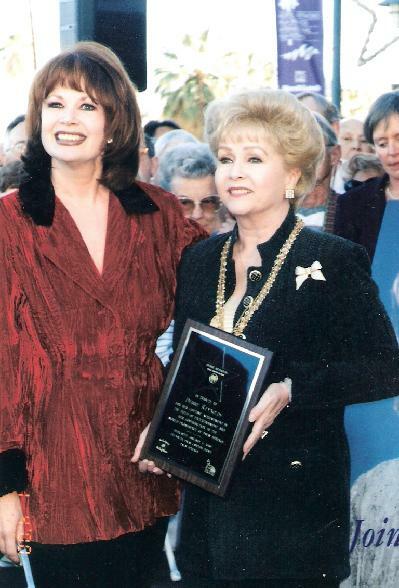 – DISCUSSION of the mission of the Barbara Sinatra Children’s Center: to counsel abused and neglected children and to break the cycle of same. No child is ever turned away @ BSCC for lack of funds. – Helene Galen and Jamie Kabler host a pre-event party for the cast. Larry Fuller is directing the show this year. After party w/ VIP ticket @ Acqua California Bistro. – The Michael Childers room @ “849” Restaurant and Lounge.